Just released - September 2016 - a unique one pot camp cook book. A5 format with coloured photos throughout the 124 pages. 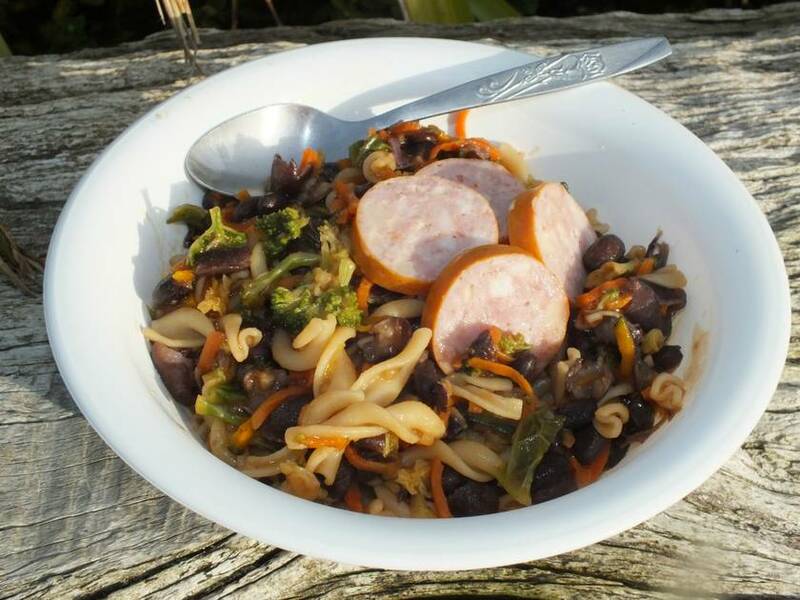 Over 100 recipes and camping meal ideas are included in this easy to use guide. 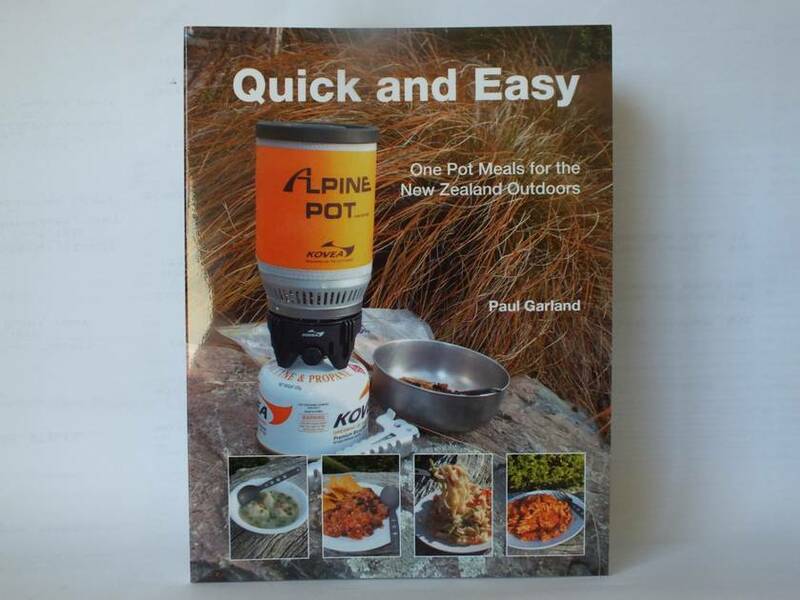 This book is about creating interesting one pot meals for the many outdoor enthusiasts who want simple, quick and easy to prepare meals, while we enjoy our fantastic New Zealand environment. Whether we are walking, tramping, biking, camping, boating, fishing or hunting, the need for good quality fast food, when and where we want, is still the same. This creates the theme that runs throughout this book - Quick and Easy. 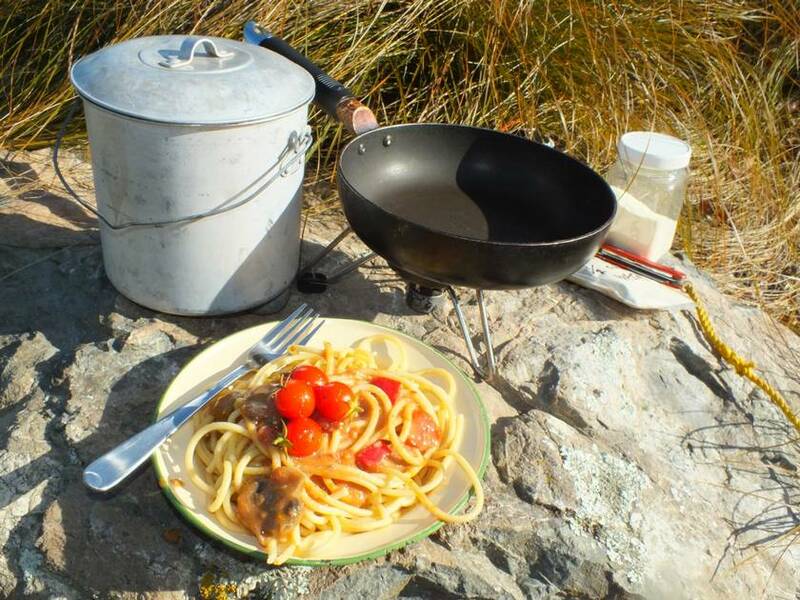 It is designed especially for those campers using rapid boil stoves or hot water only cooking methods, and is packed full of recipes to create delicious camping meals by adding hot water only. 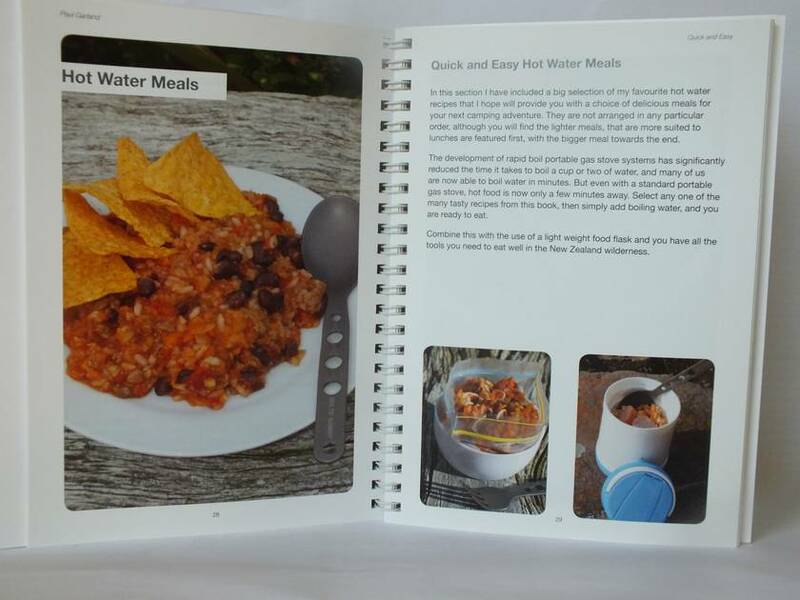 Also full of great ideas for dehydrating - ready to eat camping meals. This is a great companion book to Fast and Light - complimentary but different. Contact campfireshop to enquire about payment or shipping options. "Fantastic book. Used it for a 5 day tramp and we were the envy of everyone in the huts!"